Dragons can be tough to love. Sure, they look great in full flight, but with their scaly skin, cold blood and fire-breathing tendencies they can be hard to snuggle up to. 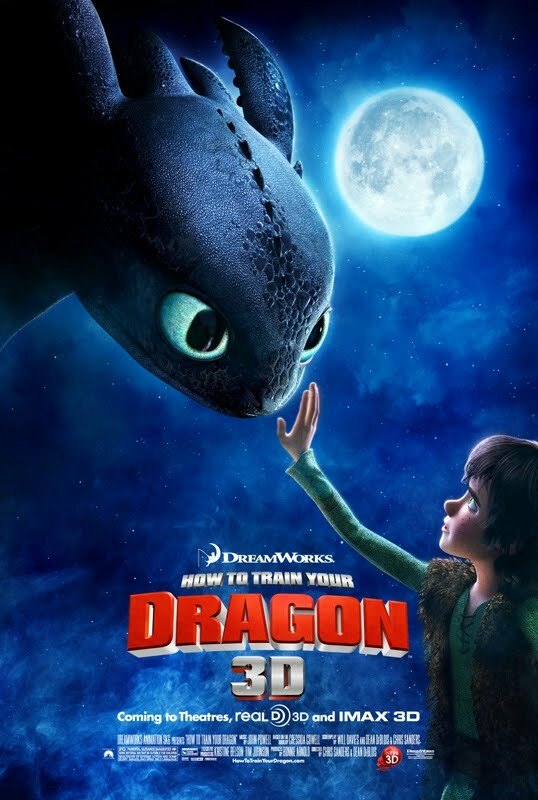 However in How to Train Your Dragon, a magnificently entertaining, beautiful 3D adventure, the mythical nastiness of dragons are just simply misunderstood and cute too, once you get to know them. The story begins in a remote Viking village with regular dragon raids. This is where we meet Hiccup (Jay Baruchel). He's your typical teenager whose scrawny frame doesn't quite fit with the brawny macho types who fight off the dragons who steal their sheep and burn their homes. The village's beefy, overly bearded leader, Stoick (Gerard Butler) is, of course, Hiccup's massively disappointed dad. Cue: father-son issues. Hiccup, trying to prove himself, shoots down a rare Night Fury dragon and after he finds the wounded creature he discovers that the feared dragon is just one big puppy dog. "Everything we know about you guys is wrong," the boy tells his new pet. And from there the rest of the story continues beautifully. I found this movie magnificent. I loved every minute of it. I found myself extremely engaged and smiling the whole time. The friendship between the boy and the dragon is what really warmed the heart. The story, the 3D animation and the beautiful music made me feel so good! It really uplifted my spirits. I loved the underlining messages as well – trashing old ideas in the face of new information is a beauty. If you are strong, brave and true to yourself you will never completely fall. I strongly recommend seeing this movie. In my opinion it is equal to, if not better than DreamWorks’ previous CGI films - Shrek, Madagascar, Kung Fu Panda. This music is absolutely beautiful to me. It makes me so happy and hopeful. Enjoy! favorites: Top 10 Favorite Film Scores of All-Time. I look forward to seeing it myself. Sweet Boy is reading how to speak dragonese right now, its the third in the series. Man, I really want to watch this now! !